GLENDALE, WI - Nine deadly shootings in 10 days. Those are the numbers looming over Milwaukee following a spree of violence. And with such a tough week for the area, it begs the question of how to survive in a city where the number of shootings to date is upwards of 300. “It’s hard, I can barely go outside sometimes so I just stay in the house as much as I can,” 14-year-old Amerie Lucas said. Lucas said staying indoors and basketball, that's his way of surviving in a city where he often fears for his life. “They don’t have respect. They just steal stuff, a lot of killing, and it’s just dangerous," he said. And while Lucas is still surrounded by the violence, NBA champion Kevon Looney has survived and thrived. “[Milwaukee has] always been tough, I feel like it’s getting tougher," Looney said. "The crime seems like it’s getting worse and the drugs seem like it’s getting worse." Just to put things into perspective, there have been 70 homicides so far this year. That’s roughly 10 murders each month in the city of Milwaukee, and with about four and a half months left in the year there’s a fear that number could increase. 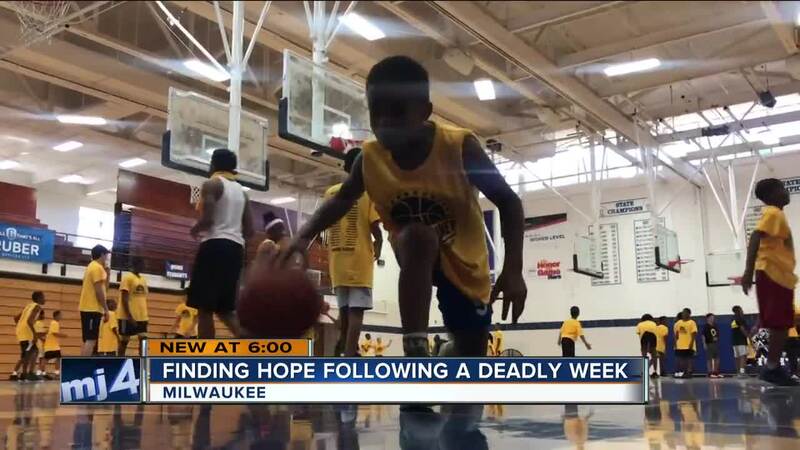 That’s why programs like the Running Rebels basketball camp are so important for students like Lucas who see Looney as a role model and an example of what it means to survive growing up in Milwaukee.